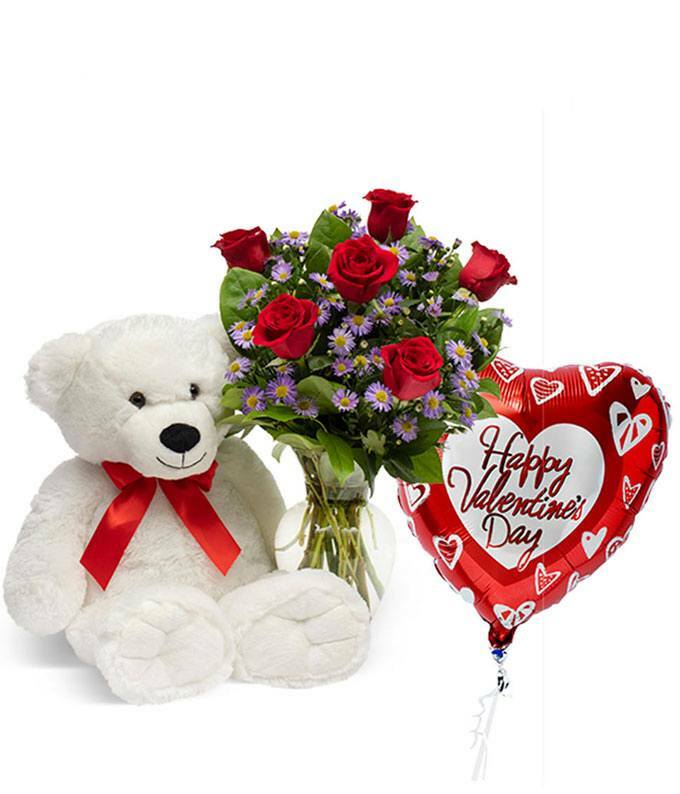 Send your love with this classic Valentine's Day combination of a teddy bear, a thoughtful "I Love You" Balloon and a bouquet! Your sweetheart is sure to be dazzled with the thoughtful gift of a forever friend in addition to the tradition of beautiful red roses and purple monte casino! Please note that the bear and balloon will vary based on local availability. Approximate arrangement Height 20", Length 12"